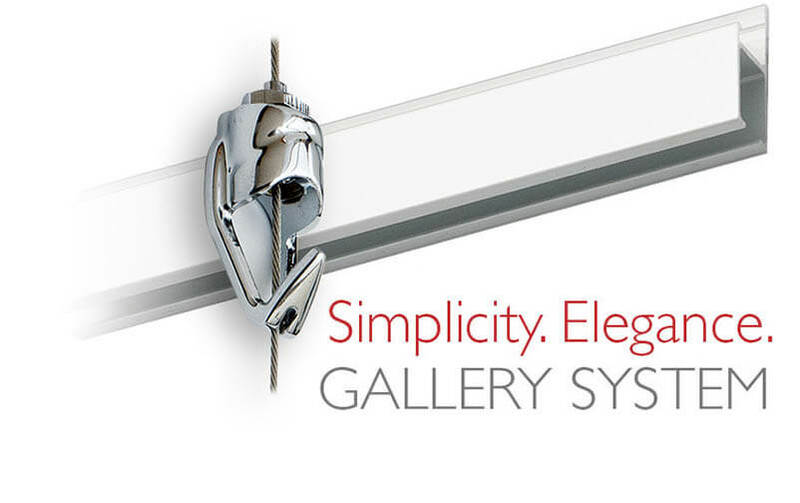 Gallery System picture hanging systems have just three basic components - a discreet wall-mounted track, simple hangers that slide horizontally, and compact, robust hooks that adjust vertically. 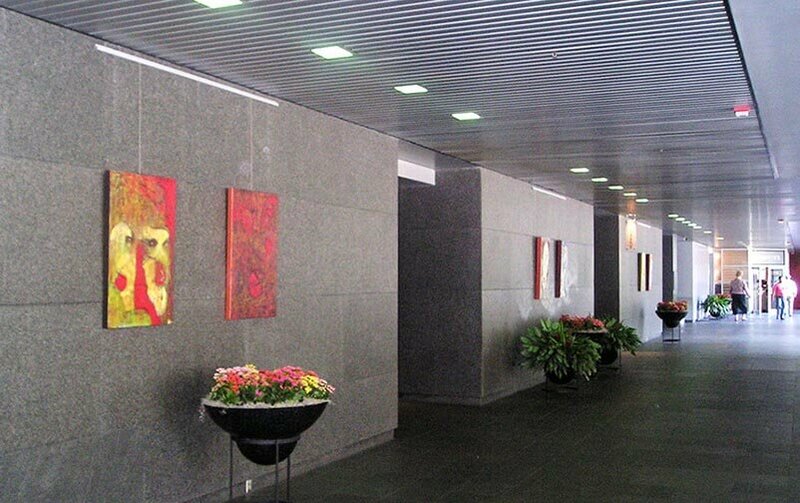 So you can hang art quickly in any desired location without driving nails or damaging your wall. Plus, our Original Gallery System offers optional integrated lighting. Why Use a Picture Hanging System? See sample commercial and home/studio installations - learn why users love the aesthetics and economics of Gallery System art hanging systems. 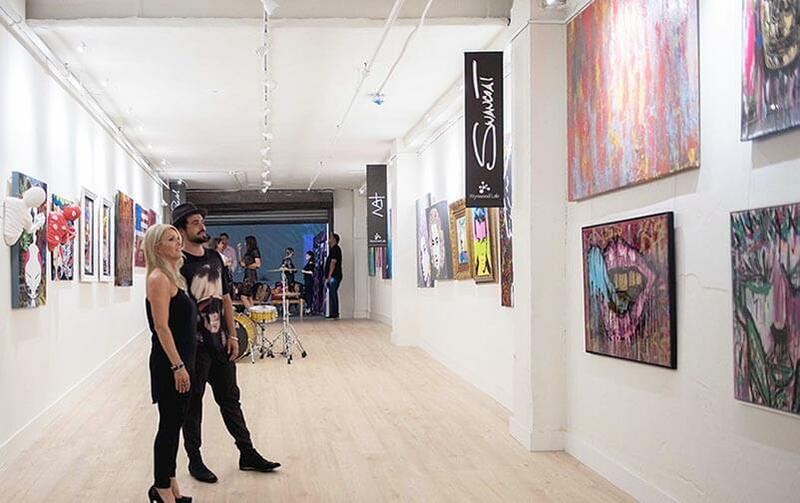 See all our art hanging systems - including versatile Original Gallery System and sleek GalleryOne - or read our Picture Hanging System Buyer's Guide. Which Gallery System Is Right for You? Hanging any Artworks Weighing Over 60 Pounds? Want the option of Integrated Gallery-Quality Lighting? Want the option of Concealing the Metal Track with Wood Molding? If you answered "yes" to any of these, our Original Gallery System is for you - our most-customizable, highest capacity art hanging system. Otherwise, use the discreet, rugged GalleryOne — our economical performance leader. Already have picture moldings? 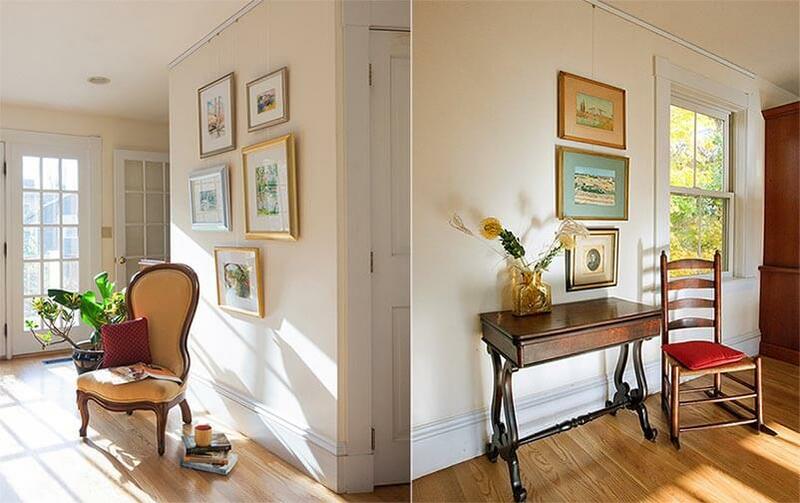 Get all the benefits of a hanging system with our Picture Rail Hangers. Get a free sample and see Gallery System quality and performance firsthand: give us a call at 800-460-8703 and we'll be glad to send out an evaluation kit. Or, use our simple Contact Form. The simplest way to get started: The GalleryOne Starter Kit is our best-value picture hanging system - just $209, including shipping in the Continental US.